Many people find FaceBook annoying, but often lay the blame with someone else. It can’t possibly be their fault their news feed is filled with pointless updates, can it? 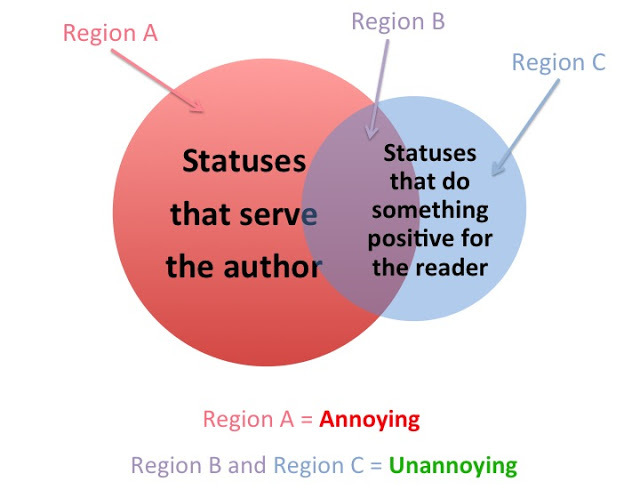 The article “7 Ways to Be Insufferable on Facebook” on the Huffington Post earlier this month by the anonymous Wait but why delves into the angry world of social friends, and I’d love to think it was written ironically but I fear it wasn’t. 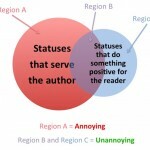 The Literal Status Update – An actual status update on someone’s mundane day. And that just from one page of the 1,700+ comments posted so far.